Most Floridians favor the use of genetically modified mosquitoes to fight the spread of Zika virus and are significantly more likely to approve of it than people who live outside Florida, the latest Annenberg Science Knowledge (ASK) survey has found. The release of genetically modified (GM) mosquitoes to fight Zika was favored more widely in Florida than elsewhere in the United States (60 percent vs. 50 percent), according to the survey, conducted by the Annenberg Public Policy Center (APPC) of the University of Pennsylvania. The survey found that 40 percent of Floridians “strongly favor” the release of the mosquitoes, which are modified so that when they breed their offspring die early, reducing the population. Twenty percent of the Floridians surveyed “somewhat favor” the use of GM mosquitoes, 11 percent “somewhat oppose” it and 19 percent “strongly oppose” it. Oxitec (OX513A) mosquito larvae and pupae. Credit: Oxitec. More likely to favor having local government distribute Zika prevention kits that include insect repellent and condoms (76 percent vs. 70 percent). Zika virus also can be sexually transmitted, according to the Centers for Disease Control and Prevention (CDC). Both Floridians and those outside the state approve of “special spraying from the air against mosquitoes to prevent the spread of Zika virus” (76 percent Florida, 73 percent non-Florida). The ASK phone survey was conducted August 18-22, 2016 among a total of 1,472 U.S. adults, including an oversample of 509 Florida respondents. Since July, Florida has become the first state in the continental United States to report locally transmitted cases of the mosquito-borne virus. As of Aug. 25, the Florida Department of Health reported 43 non-travel Zika cases and 534 travel-related cases; the CDC reported 2,517 total U.S. cases of Zika as of Aug. 24. 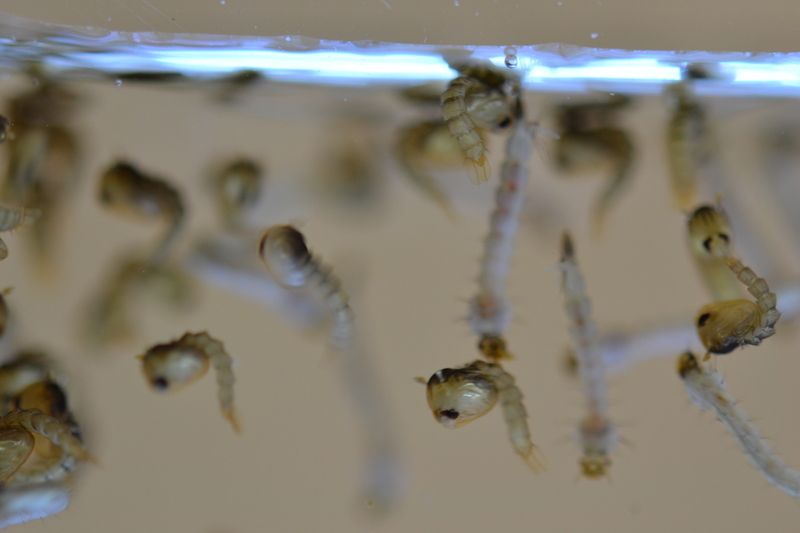 The Food and Drug Administration has approved a field trial in Key Haven, Fla., of genetically engineered (GE) or GM mosquitoes developed by the company Oxitec. Local residents will vote Nov. 8 on a referendum on whether they favor the plan. More likely to know that the location of the CDC travel warning for pregnant women and their partners is within the state of Florida (81 percent of Floridians who said they are aware of the travel advisory vs. 67 percent of non-Florida respondents who said they are aware of the advisory). Removed standing water from outside their homes (22 percent vs. 12 percent). The survey, conducted for the Annenberg Public Policy Center by research firm SSRS, has a margin of error of +/- 5.5 percentage points for Florida respondents and +/- 3.7 percentage points for non-Florida respondents. The Florida sample was weighted to represent the adult population of Florida and the non-Florida sample was weighted to represent the respondents from the other 49 states and the District of Columbia. For more on the methodology and questions, see the Appendix. Or to download this release, click here.